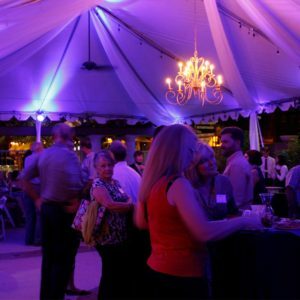 In 2018, Tempe Sister Cities marks the 46th anniversary of its Oktoberfest celebration in Tempe.Local & International Food, 25+ Varieties of Beer, Music, Dancing, Rides, Contests, Sports & More! Visit Four Peaks Oktoberfest to get all the details! Oktoberfest is an annual fundraiser with proceeds used to send Tempe high school students to cities all around the world each year. Tempe Sister Cities is an internationally recognized non-profit, awarded multiple times for its promotion of multiculturalism. Funds raised also help bring more than 32 high school students and teachers from international cities to Tempe for 5 weeks each year. 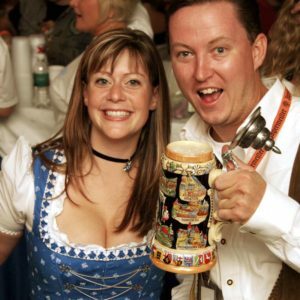 The 2018 Four Peaks Oktoberfest runs Oktober 12th, 13th and 14th! November 9th Hackett House has the epicurean delights you have been craving. For 16 years, Hackett House has ushered in the holiday season with our infamous CHOCOLATE HAPPY HOUR! And not just chocolate! We also have a buffet of tapas served 6:30-8:30pm. Your ticket price includes 1 wine, beer, or chocolate martini. In addition to our delectable delights, there will be a live auction featuring such things as art work from around the world, clothing ensembles to bid on, trip tickets, and more! Can you think of a better way to usher in holiday cheer? Attend this chocolate bonanza for only $34.95 per person. which includes one wine, beer, or chocolate martini ($29.95 per person with a Tempe Sister Cities membership or with two or more people). Reservations are required. And remember…this is a fundraiser….all proceeds go to support Tempe Sister Cities cultural and educational programs. The art auction will benefit our building fund for our INTERNATIONAL CENTER. So bring your gal-pals, make it a date night, or just sneak off alone….just JOIN THE FUN!! Register online today! Interested in volunteering at Hackett House? We would be happy to discuss opportunities with you. Please contact our Volunteer Coordinator for more details.